Sleep apnea has been on the rise in the United States and an estimated 18 million people have been suffering from it. The upsurge in the cases can be attributed to enhanced diagnosis of the condition and rising obesity. Continuous positive air pressure therapy is undoubtedly the best treatment for sleep apnea, which uses CPAP masks. A CPAP mask helps keep the airway open and significantly reduces the odds of patients’ breath getting paused while they are asleep. 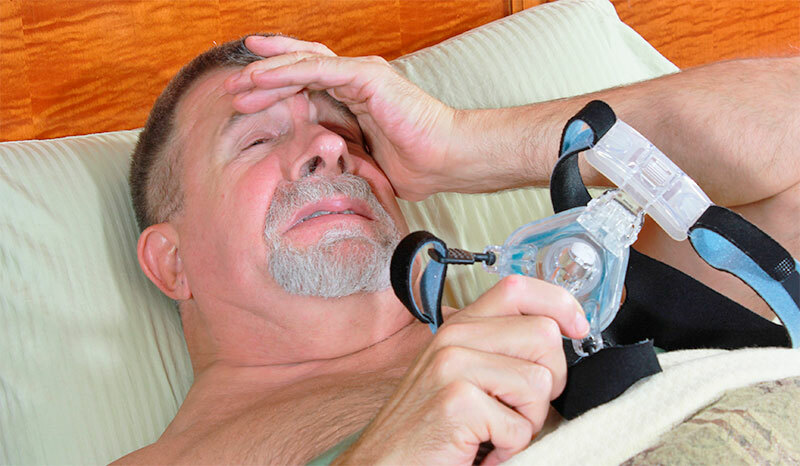 The CPAP machine is an elaborate device and the mask touches the face of the wearer at several places, giving rise to the associated irritations. The difficulties encountered demotivate the patients and about half of them quit the therapy after a year. In this article, we will talk about the CPAP irritation issues and ways to deal with them. Let’s get started. My CPAP mask users have complained of experiencing dryness of the nose. 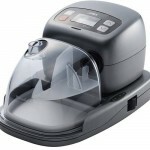 He modern CPAP machines have an inbuilt humidifier. Altering the humidifier settings usually solves the issue. If the heated humidity doesn’t help, try irrigating your sinuses using a Neti Pot before bedtime. Besides, a leaky mask can give you a dry, stuffy nose too. This is one of the most common problems with CPAP masks. The mask could leak around the edges, i.e., from space in between the mask and your face. It could also leak at the mouth if you sleep with your mouth open. Your mask could be leaking probably because it is not the right size according to your facial structure. Look out for a new mask that fits well. RemZzzs offers liners for both full-face and nasal masks that help reduce the leakage. If you use a nasal CPAP mask and leak from the mouth, getting a full-face mask would be helpful. It often happens that people who use CPAP masks wake up looking like raccoons. Their nose bridge hurts, looks red and irritated. It could be because the mask is strapped too tightly to their face. 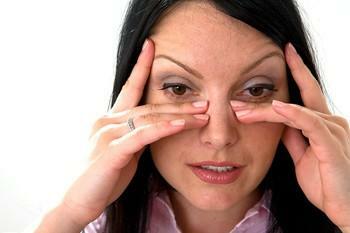 If you too face this problem, try loosening the forehead bridge adjustment a bit till it feels right. Don’t loosen it too much, else the mask would leak. You could also mitigate the irritation by placing a nasal gel pad on the nose bridge before putting on the mask to avoid direct contact. Alternatively, you could buy a new mask that wouldn’t rest on your nose bridge. Hybrid CPAP masks that have nasal pillows and a mouthpiece are your best bet. Most CPAP masks have straps that run across your forehead and cheeks, which often leave red marks on these areas. This could be a source of embarrassment for the patients. To avoid the formation of red marks, try using liners. Liners are of two kinds; nasal liner and full-face liners, depending on the type of mask you use. These liners act as a protective barrier between your skin and the mask. Besides, users have reported that their masks have an enhanced grip and fit better and more comfortably than before. There is a second reason to redness of the skin. The skin of your cheeks and forehead could chaff or get infected if it’s oily during the use of a CPAP mask. Make sure you cleanse your face when you come back home to get rid of the oil and dirt. Avoid applying any kind of lotion or cream to your face at night. The oiliness can cause the make to slide when you are asleep. The friction and the bacteria on your skin could cause redness and infection. Lastly, make sure to clean your mask using SoClean on a daily basis. Cleaning the headgear once a week would be fine. Try not to use anything abrasive to clean your mask. Steer clear from bleach, alcohol, and vinegar. You could use a mild soap dissolved in lukewarm water to clean your mask and headgear. Some CPAP machines have a ‘ramp’ feature. When you activate it, the machine starts with low pressure and automatically increases it gradually and steadily to the prescribed pressure. Your doctor would help you calibrate the CPAP machine and set the rate at which the pressure increases. On the other hand, you could choose an autotitratable machine that regulates the pressure automatically when you are asleep. These machines exert more pressure during inhalation and less pressure during exhalation, depending on the degree of constriction of the windpipe to keep you comfortable. People who have claustrophobia often find it hard to get used to the CPAP mask for the obvious reason. But there are ways to deal with the feeling of anxiety and restlessness, one step at a time. 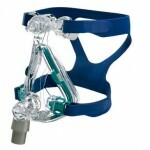 Hybrid masks are much better than the full-face masks for claustrophobic patients. Start by holding just the mask to your face when you are awake. You will get used to the idea within a few days. When you feel comfortable, attach the straps to the mask and put it on. Next, attach the hose to the mask. When you get used to all of this, attach the hose to the machine and activate the ramp feature. When you feel anxious, try the progressive muscle relaxation exercise. Following this routine, several times a day while you are awake will train your mind to get used to the CPAP machine. Finally, you would be able to sleep comfortably with the mask on. If it still doesn’t work, you should talk to your doctor. Some CPAP mask users have reported water build-up inside the mask or the hose. This phenomenon is called CPAP rainout and can be resolved very easily. When the water vapor in the air and your breath come in contact with the cold surface of the hose and the mask, it turns into water. You can avoid condensation by heating up the hose or increasing the temperature of the room. Tuning the humidifier settings also help prevent condensation. So this was all about the major issues associated with using CPAP masks. 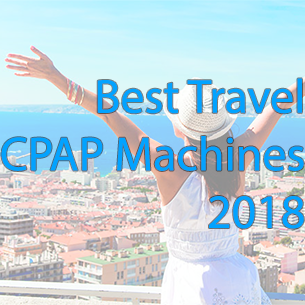 We hope you found this article useful and that we could be of your assistance in dealing with the problems you had been having with your CPAP mask. 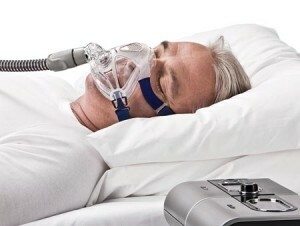 For more interesting information about CPAP therapy, stay tuned. It’s hard to believe that the various kinds of issues people have with the full-face CPAP masks don’t include one very fundamental problem that I’ve been experiencing all along; that is extremely dry skin. All that pressure air coming out of the machine dries the skin on my face out so bad that I am plagued by frequent itching which drives me nearly crazy. And that leads to another problem; sometimes really burning itching drives me to try to scratch it, which isn’t easy to do unless one takes the time to temporarily shut the machine down and remove the entire face masks. The silicone border on the perimeter of the mask then starts to give way. I’m now on my 2nd mask and the same thing is happening.